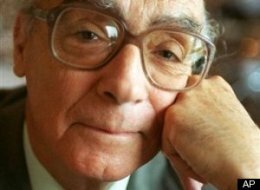 Nobel Prize winner José Saramago is known for his dark words such as Blindness. Who knew he was such a comedian? 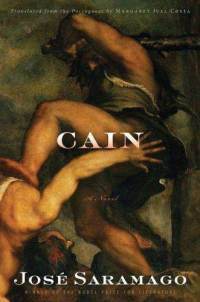 The late Portuguese’s last novel, Cain, released last month, tells some of the stories of the Bible from the perspective of Adam and Eve’s son, Cain, who killed his brother, Abel, out of jealousy. After the murder, Cain witnesses historical events from the Bible – the destruction of Sodom and Gomorrah, the creation of the golden calf and the construction of Noah’s Ark. Of course, Saramago, who was known for his atheist views, is mocking the Bible. Cain frequently questions the Lord’s motives in killing thousands of innocent lives during the destruction of Sodom and Gomorrah and the Golden Calf. Fans of Kurt Vonnegut and Christopher Hitches will love this stuff. Saramago writes in never-ending sentences and never-ending paragraphs that may have some readers rereading passages. But, at 159 pages, Cain is a quick read and, considering the complexity of his other books, this may be a good starting point for his work. Saramago won the Nobel Prize for Literature in 1998. The Nobel’s website includes this biography. Margaret Jull Costa, who translated Cain and Paulo Coelho’s recent book Aleph, wrote about him in this article for Granta magazine.